Lake Erie Beach Vol. 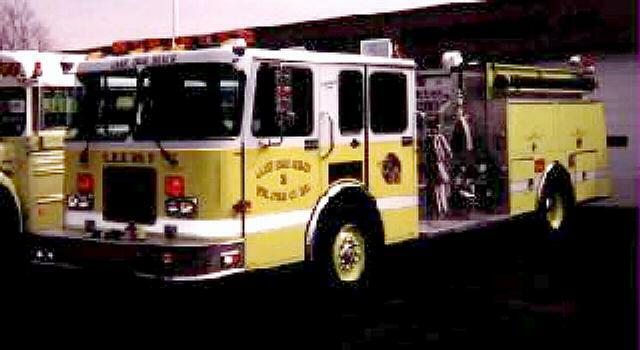 Fire Co.
Lake Erie Beach #3 is a 1993 Spartan Chassis/RD Murray custom body pumper. It has a 1500GPM Hale top-mount pump with a 1000Gal tank. #3 is our second due in vehicle for all types of fires within our protection area and it is the first due vehicle for all Mutual Aid responses. This vehicle also carries a 6K generator for operating scene lighting from the four halogen lamps mounted on it and also to supply power to a 250' cord reel for electricity at the scene. Like our #1 this unit also carries a hydrant assist valve preconnected to 1500' of 5" LDH. This vehicle, being the second truck in has the responsibility to connect to the nearest hydrant to provide the water suplly to the scene. L.E.B. #3 also carries six preconnect attack lines similar to those on L.E.B. #1 with the exception that #3 carries also a top mounted deck gun which is removable and has the capability to be mounted on either #1 or its stand for fireground placement. As our primary water supply vehicle, this unit also carries all equipment necessary for drafting from bodies of water should the need arise. The Spartan Cab of #3 holds 6 firefighters including the driver. The other five seats, as in #1, are "911" brand with integrated SCBA packs. 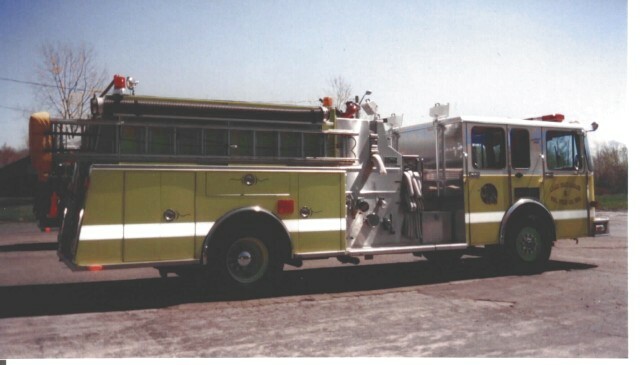 On this vehicle, it is the "radio operator"'s responsibility to make the hydrant connection as well as operating the siren and communications enroute. This vehicle utilizes primarily Whelen brand warning lights including a 72" Advantedge halogen lightbar.